(MarketsMuse) 09 Sept–“What’s Next? 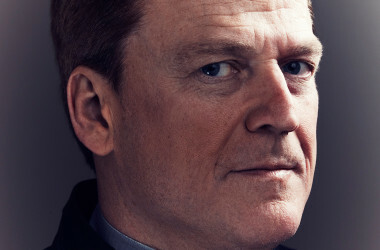 Well, for those familiar with Patrick Byrne, the controversial and innovative founder of Overstock.com, one of the first online retailers to embrace the use of bitcoins, it should not be a surprise that Overstock’s chief honcho would ‘get the joke’ and realize its all about the underlying technology that powers cryptocurrency applications, known as distributed ledger. While bitcoin currency continues to encounter challenges in terms of mass embracement, the real grease that makes the makes the wheels turn is under the hood. With that, Overstock subsidiary “T0” (T-zero) is taking a page from both the industry consortium formed by R3 and the Senahill-backed Symbiont –both of which target institutional capital markets usage–and aiming it’s own sights on retail investors by setting to launch an equities-centric Alternative Trading System aka ATS powered by their own blockchain formula. A distributed ledger is a consensus of replicated, shared, and synchronized digital data geographically spread across multiple sites, countries, and/or institutions. A blockchain is a type of distributed ledger, comprised of unchangable, digitally recorded data in packages called blocks. Rob Daly of MarketsMedia (not related to MarketsMuse) provides the scoop..
Online retailer Overstock.com expects trading to begin on its blockchain-based alternative trading system before the end of the year, according to company officials. The ATS will be operated by Overstock.com subsidiary TO as part of the company’s Medici Project, and it will only handle trades in the company stock, at least at first. So while it’s not an immediate competitive threat to the existing field of 13 U.S. stock exchanges plus several dozen ATSs, the initiative will be closely watched as a gauge of the potential of distributed-ledger technology in capital markets. The ATS will write completed trades to its blockchain instead of routing them to the National Securities Clearing Corp., a subsidiary of Depository Trust & Clearing Corp., for clearing. 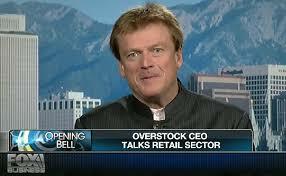 Overstock.com plans to prime the liquidity on the ATS through a new issue of corporate shares to existing shareholders the day before trading commences on the new trading venue. T0 officials plan to formally announce its partnership with a broker-dealer on Sept. 12. “For those who want to trade on the ATS, they will have to create an account with the broker-dealer,” said Overstock’s man-in-charge Judd Bagley, who declined to name the brokerage firm. BrokerDealer.com database of Global Broker-Dealers includes thousands of BDs in 30+ countries. BrokerDealer.com blog update profiles the latest chapter in CEO Patrick Byrne’s playbook to become a blockchain billionaire and scheme to open a bitcoin exchange via his acquisition of a 25% stake in PRO Securities, an SEC-registered alternative trading system. Whether Byrne is a Blockhead or will prove to be the first Blockchain billionaire remains to be seen, but he is one determined guy. Online retailer Overstock has stepped up its plans to issue “digital securities” through the acquisition of a 25% stake in alternative trading system (ATS) PRO Securities, according to Wired. Last year Overstock CEO Patrick Byrne hired developers and lawyers in an effort to create a platform – dubbed ‘Medici’ – that could use the core blockchain technology to create a cryptosecurity trading system, in which computer algorithms are used to trade virtual stocks issued by public companies. Details of how this would be achieved have now emerged, with Wired reporting that last autumn a stake was acquired in SEC-regulated PRO Securities, which has now amended its charter to say that it may handle trades in digital securities via blockchain-related technology. Bryne has told Wired that his firm has already built the blockchain-related tech on top of PRO Securities platform and is now ready to show it to regulators. Often referred to as alternative trading system, electronic communication network has revolutionised trading on stock exchanges around the world. Despite initial apathy, dealing member firms of the Nigerian Stock Exchange are now embracing remote trading in a bid to woo retail investors writes, Eromosele Abiodun. Following the introduction of technology, stock markets around the world have grown in leaps and bounds. The Nigerian stock market is a special example of the extent institutions can go if the right steps are taken in the right direction.